The online ministry of Point of Hope Apostolic Church! Point of Hope is a church dedicated to the Great Commission mandated by Jesus Christ to the Church. Our goal is to introduce and lead people to a closer relationship with Jesus Christ. If you haven’t yet chosen a church home, we invite you to our thriving, growing multi-cultural congregation! Experience dynamic worship centering on a loving Savior interested in humanity’s well-being! When you visit, you will experience anointed teaching & preaching; vibrant worship & praise; and practical ministries focused toward the family.Point of Hope is a place for you! 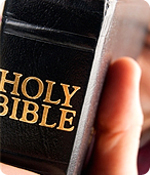 The Bible is the most important book in the history of the world! Therefore, we believe, teach, and preach the truth of the Bible separate from opinion and tradition! How we know what "truth" is, is by the Bible itself. © . Point of Hope.